Trout come in many different varieties from sea trout to rainbow trout, and like salmon, this delicious oily fish can be smoked or unsmoked. 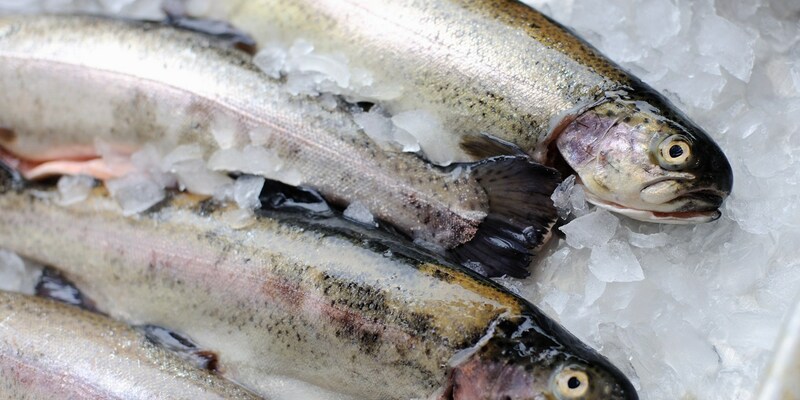 Browse our tasty collection of trout recipes, including Nathan Outlaw's cider-cured sea trout. His recipe takes a bit of commitment but it really pays off, accompanied by a simple apple cider sauce. For an impressive fish supper, Shaun Rankin's sea trout recipe pairs the classic British ingredient of asparagus with exotic pink grapefruit for a perfect springtime dish. For an inventive starter recipe, Galton Blackiston's trout ceviche is complemented by a refreshing avocado sorbet, proving that a little adventure in the kitchen can be well rewarded. Have a read of our article on how to cook trout to find out the ways to serve this fish, as well as which flavours work well with trout.